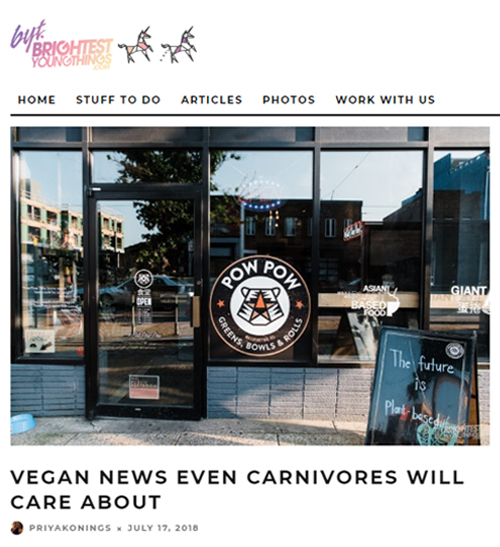 POW POW is an award winning plant-based Asian, organic and kosher certified fast-casual restaurant located in the heart of the popular H Street, North East corridor of Washington, DC. 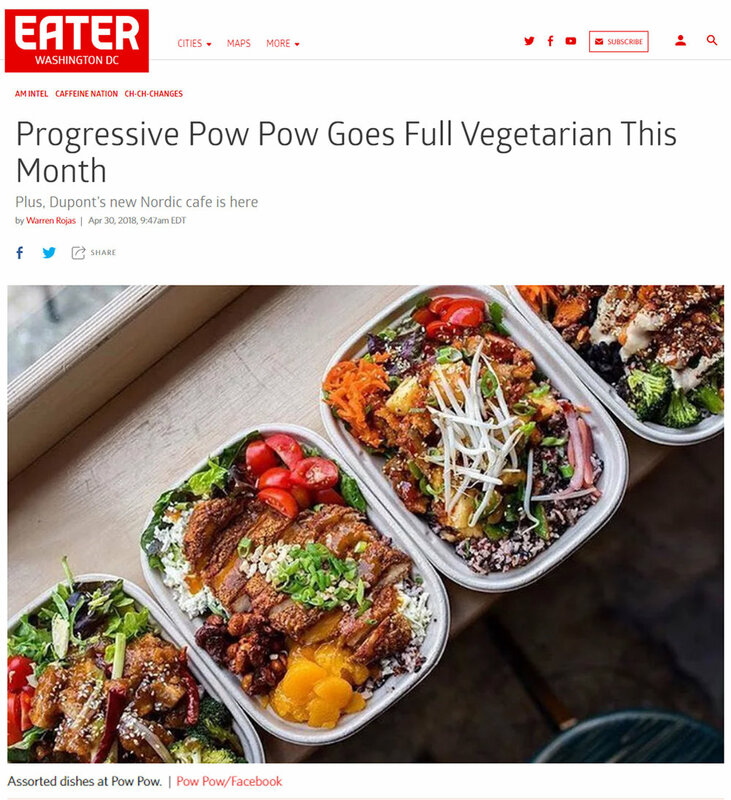 Adapting classic Chinese, Japanese and Korean techniques through corporate American food models, POW-POW creates its version of “New Asian” cuisine. 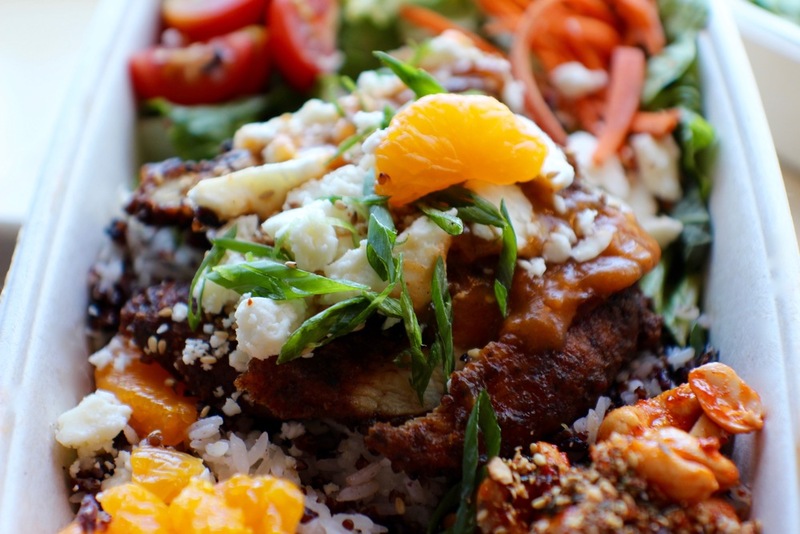 Serving creative plant-based salads, hearty bowls and Egg rolls the size of your arm. Using the highest-quality natural-ingredients from local farms when available, POW POW serves its unique version of creative, fun and healthy food in a culture rich environment. 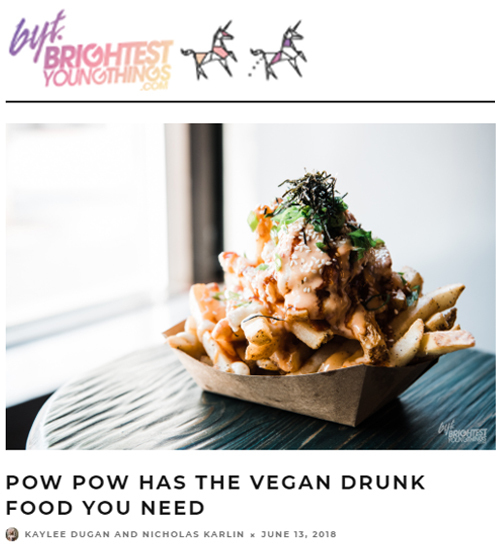 POW POW is the brain child of local musician/restaurateur, Shaun Sharkey and Lavagna’s fourth year in a row, “DC’s Best Italian Restaurant of the year” owner, Stephen Cheung. While enlisting Sticky Rice creator/owner, John Yamashita and plant-based chef Margaux Riccio to create the menu. POW POW is open Monday, Wednesday & Thursday 11:30am-9pm, and Friday through Sunday 11:30am-10pm with delivery during those same hours. Closed on Tuesdays. 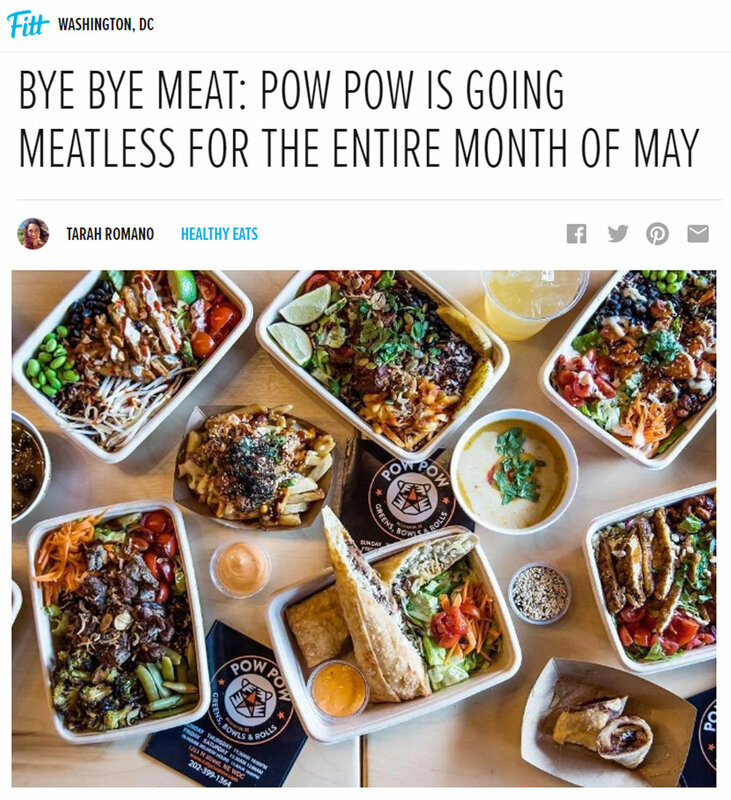 Please follow POW POW on all social media sites @EatPowPow. Pow Pow offers delivery everyday during regular business hours to most of DC including some of MD/VA. Order delivery online by clicking HERE and a member of our delivery team will be there ASAP! 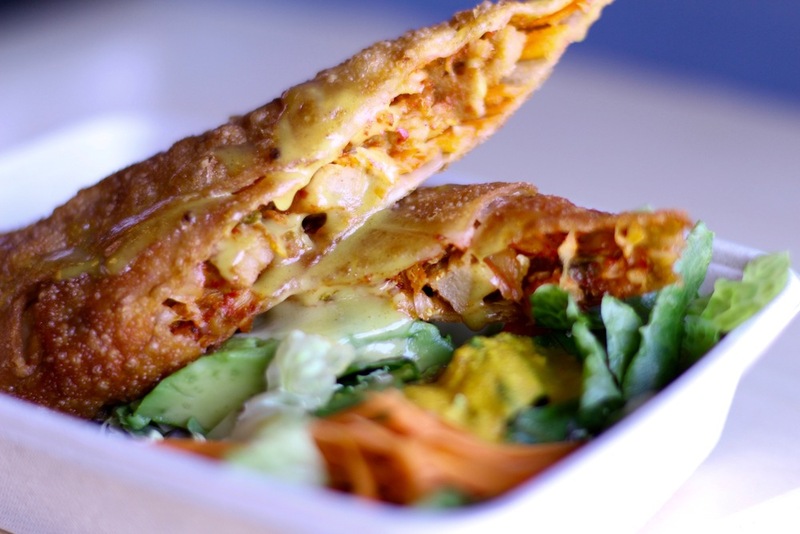 Pow Pow is available for large or small catering events and can tailor a menu to meet your plant-based needs. 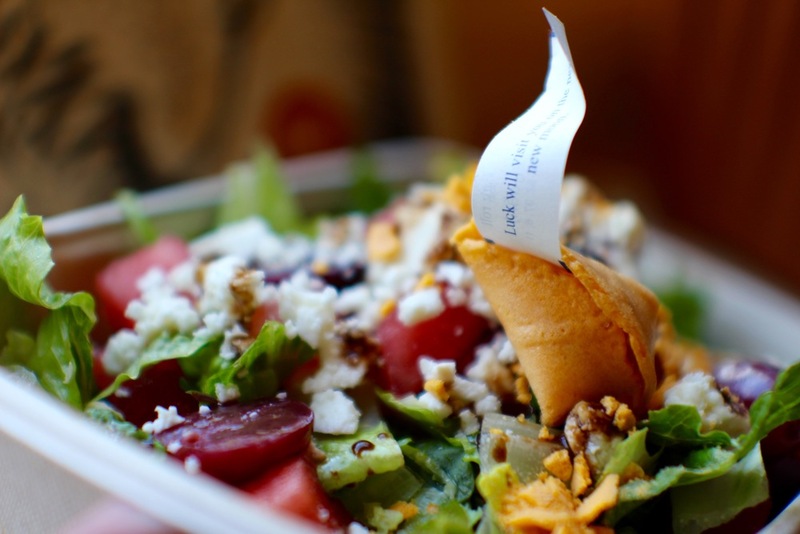 From our full list of salads, bowls, egg rolls and side items, Pow Pow works with their clients to provide unique dining experiences. Catering orders can be made directly from the catering tab of our online ordering menu HERE. Downloadable catering menu available below. Have a question or comment? Reach out and let us know and someone will reach back to you shortly. Or simply submit your email address and be updated about upcoming promotions and offers.